Ranveer Singh is one of the coolest actors in Bollywood. 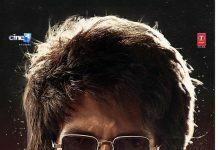 The actor is also known for carrying a unique style and is sporting a long hair do in recent times. Ranveer was photographed by the cameras as he came out of a salon in Mumbai on August 14, 2017. As the Ram Leela actor came out, Singh came across a little fan. Ranveer not just stopped and interacted with the little baby but also obliged to pose for a picture. The Gunday actor looked stylish in a grey pullover, black track pants and white shoes. Singh, who is currently filming for the film Padmavati, was all smiles and poses for the cameras on a rainy day. The upcoming Sanjay Leela Bhansali film also stars Deepika Padukone and Shahid Kapoor. 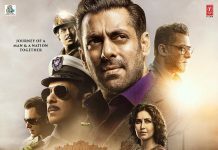 The film had to go through various controversies as there were reports of destruction of sets by a group of protestors. However, the makers are ready to release the film on November 17, 2017.